Summer is the perfect time to build up some healthy habits. There’s something about blue skies, sunshine and warm breezes that makes us want to be adventurous and make improvements to our lives. Here are some tips on how to keep yourself happy this summer. Some good news to start with – summer can make us happier and healthier all by itself. Sunlight on our skin triggers the production of vitamin D, which regulates mood and can improve symptoms of depression. Natural sunlight also helps us to maintain strong bones, muscles and teeth. Everyone loves the sunshine, but it’s important not to overdo it. Make sure you use a sunscreen, wear a hat and stay hydrated to protect yourself from sunburn and heat stroke, especially if you’re fair-skinned or prone to freckles. All that sun means that many fresh fruits and vegetables are available in the summer. Eating freshly-grown seasonal food is more nutritious, so why not make yourself a delicious salad or enjoy a smoothie with fresh berries. Regular exercise helps to keep us fit and happy and summer is a wonderful time to exercise. We are more active and energetic during the summer months, so make the most of it and go for a bike ride or hike to soak up some of that much-needed vitamin D. If you love yoga, you can even greet the warm weather with some sun salutations. 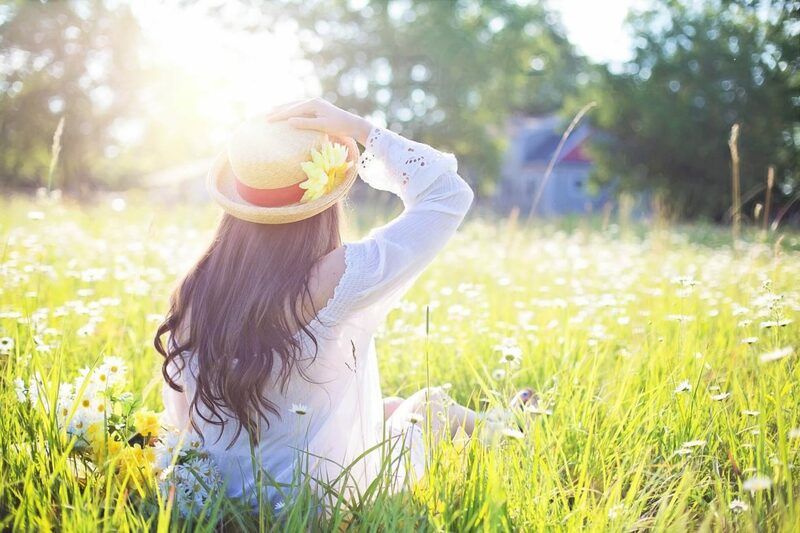 Studies show that spending time in nature can boost mood or creativity and the British countryside is at its most beautiful during the summer months. Why not exercise outside instead of at the gym, or go for a jog in the woods? If you live in an urban area, don’t worry – walking in an inner-city park is just as good. If you’re really looking to improve your health this summer, why not give up unhealthy habits such as smoking? Vaping is a must for anyone struggling with this. Not only is it much safer than traditional cigarettes but vape e-liquids come in lots of summery flavours for you to enjoy, including Sicilian lemonade and tropical fruits for a real summer taste. Because you can decide how much nicotine is in each bottle of e-liquid, vaping is the perfect step towards a healthier summer. You can relax and enjoy a summer picnic or family barbecue without cigarettes or cravings, knowing that your glass of Pimm’s will taste much better without smoke to dull your taste buds. From picnics and parties to quiet walks in the park, there is so much to do during the summer months that it’s easy to become overwhelmed. Make sure that you remember to rest this summer – it’s important to make some time for yourself and recharge your batteries. One way to do this is by making sure that you get enough sleep. Although the early sun in summer can help us to wake up before our alarms, it can be difficult to fall asleep in temperatures hotter than 18°C. If the heat leaves you tossing and turning this summer, try taking a cool shower before bed to lower your body temperature. Another good tip is to put a bowl of ice cubes in front of your fan for a cool breeze that will help you drift off into a peaceful sleep. Summer is a wonderful time of year. Enjoy the many fun activities and the good weather it brings to make sure that you’re healthy and happy inside and out.